Circus Scene, in conjunction with The What a Doddle Puppet Company, brings you colourful Muppet-style puppet shows. 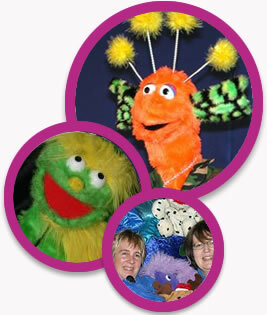 These fabulous puppet shows are full of fun, music and laughter with lots of audience participation. There is also the added bonus of meeting the puppets afterwards. Once seen never forgotten! The length of the puppet show varies depending on age of the audience and your requirements - from 25 minutes to an hour. Full scale Puppet Panto also available - please go to www.whatadoddle.com for further information. A professional puppet making service is also available for theatre, TV or private commissions. For more information about our puppet show, why not get in touch?